Miralem Pjanic has signed a contract extension to keep him at Juventus until 2023, the Italian champions announced on Tuesday. The Bosnian midfielder has won back-to-back Serie A and Italian Cup doubles since joining Juventus from Roma in 2016. "I'm very happy to extend my contract until 2023 with this amazing club," Pjanic posted on social media. 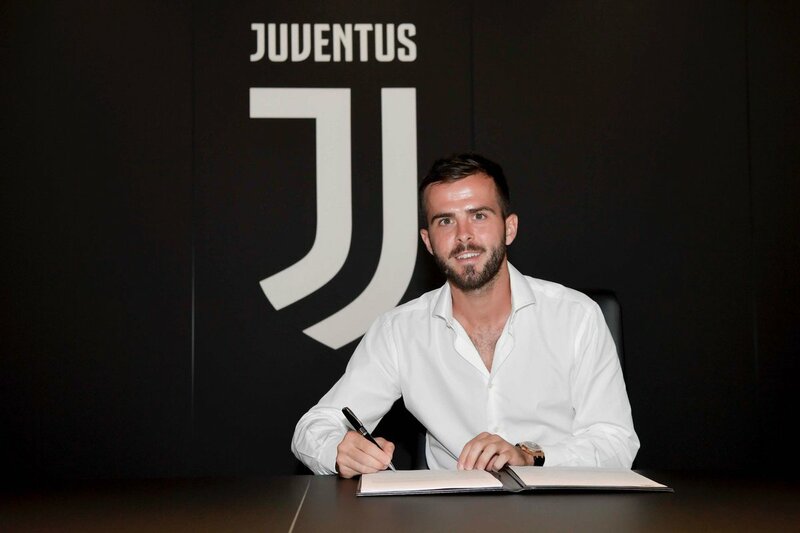 A statement on the club website read: "Juventus are delighted to announce that Miralem Pjanic has renewed his contract at the club until 2023. "Since arriving prior to the 2016/17 season, Pjanic has become an increasingly-integral part of the Bianconeri midfield, providing pin-point passes across the pitch while firing free-kicks into the back of the net with outstanding consistency." The 28-year-old has also scored 12 goals in 79 international appearances for Bosnia and Herzegovina. Juve kicked off their Serie A title defence last Saturday with a dramatic 3-2 victory at Chievo as Cristiano Ronaldo made his competitive debut after joining from Real Madrid for £105m last month.